1. What is the most recent movie you’ve watched with someone? 2. What is currently your favorite TV show? 3. What CD by a new artist that is worth a listen? 4. Have you bought a CD recently by an “old favorite” artist, is yes what? 5. Who is your current favorite female actor? 6.Who is your current favorite male actor? 7. Do you pay attention to “actors born on your birthday”? 8. Who is your favorite artist left on American Idol? 9. Who will when win American Idol? 1. Have you ever been in a serious accident? If not, how about any accident? 2. Have you ever been ticketed for an accident and if so did you pay it or fight it? 3. What kind of insurance do you have and would you recommend it to your friends? 4. Did the accident cause you to change the way you drive? 5. Did you need a rental car? If so, did you get a better car or worse one than you had? If not, what did you do for transportation? 6. Have any of the mishaps you've experienced with your vehicles given you impressions of the quality or safety of certain vehicles? 7. Have you had to hire an attorney due to an accident? 8. When in an accident were you alone, with someone, with your children, etc. Did that make a difference in the situation? 9. Finally, if you could drive any vehicle you wanted, what would it be? 1. Who was the last person you spoke with? 2. Who was the last person you saw at work? 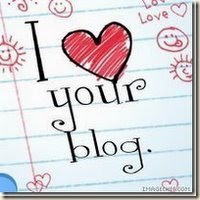 3. Who was the last person to comment on your blog? 4. Who was the last person that you wrote a post about? 5. Who was the last person that you emailed? 6. Who was the last person that you phoned? 7. Who was the last person to give you bad advice? 8. Who was the last person to give you good advice? 9. Who was the last person that you kissed?